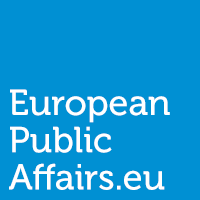 As many of our readers know, EuropeanPublicAffairs.eu (EPA) is a website for specialised political commentary in the area of European politics, policy, and strategically related developments with over 4300 followers on twitter, 2000+ likes on Facebook, and an average of 500 website hits per day. Since its inception in 2013 when created by fellow master students at Maastricht University – in one of the pre-eminent courses in EU affairs – it has been shortlisted, and won, numerous awards in EU affairs, including the Digital / Social Media Champion 2014 at the European Public Affairs awards in Brussels. After over two years of success, we are looking to expand our team of voluntary contributors, individuals who work in or share an avid interest in EU affairs and want to have their voice heard. EuropeanPublicAffairs.eu is an entirely voluntary organisation, and therefore is looking for those insightful individuals that are self driven to help inform others about EU affairs. We are looking for passionate writers who are able to cut through the base analysis of various policies, providing explanation on how they impact individuals across the 28 member states. Contributors will, after the completion of two articles have on EuropeanPublicAffairs.eu, be listed on the permanent contributor page. Do you or an individual you know fit the above description? Then please read the details below and get in touch with the materials specified at natashalevanti [at] europeanpublicaffairs.eu. As a Contributor, you’ll have the freedom to write on the topics that matter to you. We’re seeking young professionals who work in or share an avid interest in EU affairs and are able to cut through the base analysis of various policies, providing explanation on how they impact individuals across the 28 member states. EU professionals, with under 5 year’s professional experience, with an understanding of EU regulatory and legislative processes. A platform for EU rants or offensive comment. We value solution orientated views, and welcome all varieties of well founded debate. A tabloid or broadsheet organisation. Those serving in roles for EPA all have various interests and time commitments, we are not looking for full-time writers, just those who could add to or contribute to debate in a timely and professional manner. A profit led organisation – no fees and/or sponsors are ever taken and the views written by the author are theirs alone, and do not represent the views of other contributors. Time allocation: 2 or 3 articles (under 1000 words) per quarter (every 3 months). EuropeanPublicAffairs.eu operates with a structure of 3 articles a week (Monday, Wednesday, Friday) but this is not rigid and we adapt to various conditions/wishes of contributors as articles develop. How to apply: Please email natashalevanti [at] europeanpublicaffairs.eu with a CV and less than 500 word article / or previously written article on an EU subject of your choice.